Our strong background in STEM created an instant connection with DiscoverE. 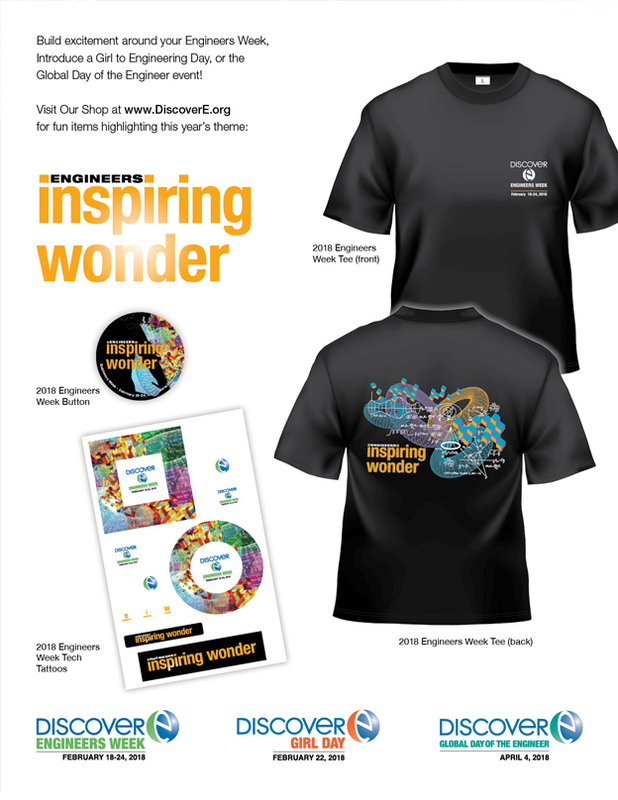 When DiscoverE was looking to identify a new marketing communications partner earlier this year they said they were looking for a fresh and innovative approach for their marketing materials for Engineers Week. 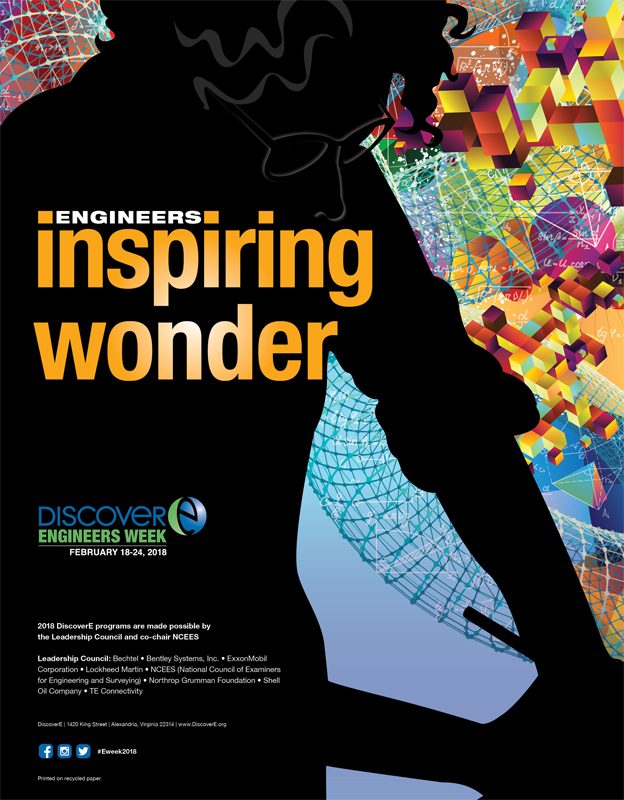 This event —the only event of its kind — celebrates how engineers make a difference in our world, aims to increase the public dialogue about the need for engineers, and importantly, how to bring engineering to life for kids, educators and parents. Evergreen & Company's passion for and commitment to education, was in large part, the instant connection with DiscoverE. 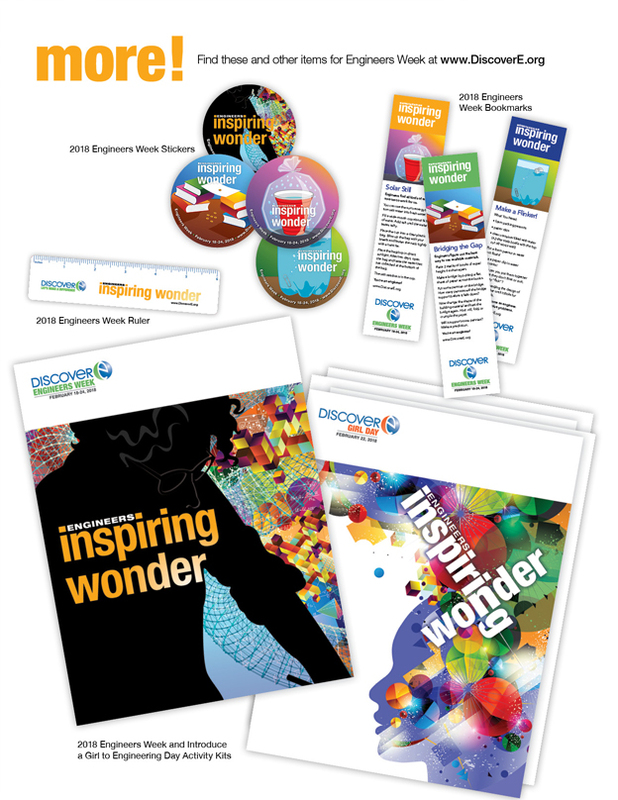 When we presented the theme Inspiring Wonder, the client immediately appreciated the dual meaning. Engineers are constantly wondering, asking questions, resulting in discoveries that inspire wonder. And by encouraging and supporting today’s girls to ask questions, the girls become an Inspiring Wonder. 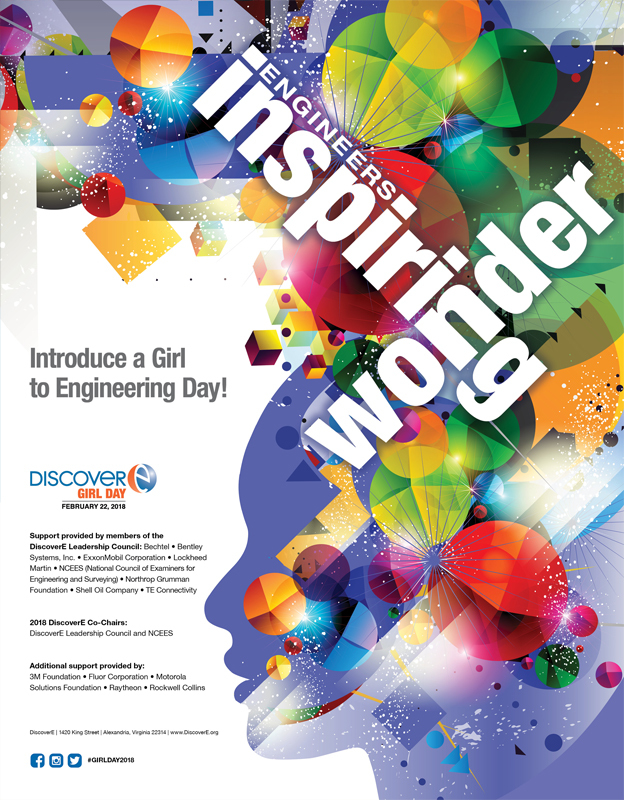 The theme connected the creations of today’s engineers to today’s girls as future engineers. 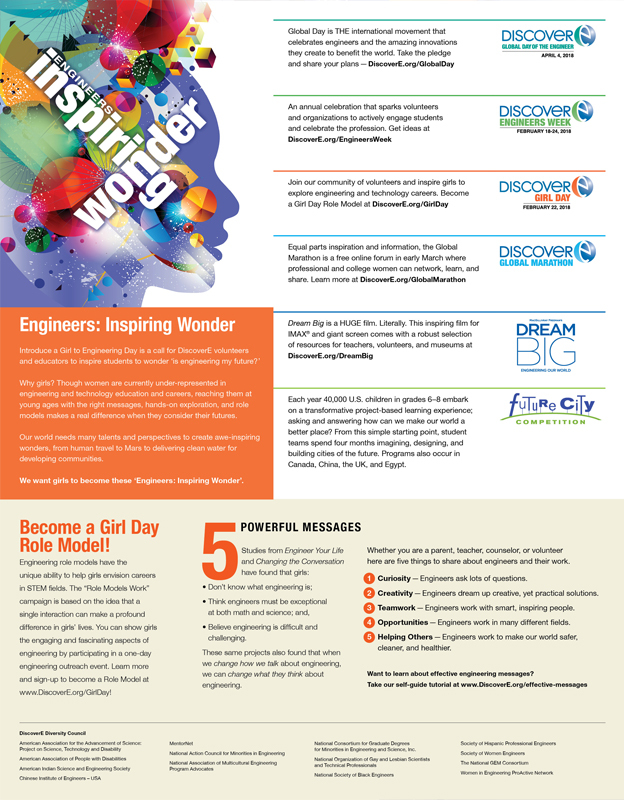 We applied this theme to both Engineers Week and Girl Day marketing and educational materials, each with bold and dynamic visuals. 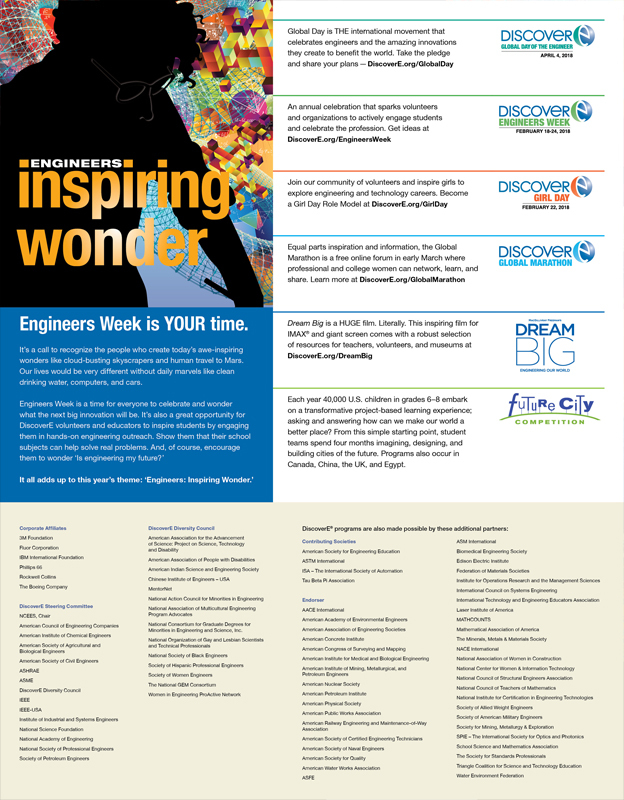 Evergreen & Company is proud to be a partner and support the lasting effects of the day-to-day work of DiscoverE, continually opening minds to engineering and creating new options for growing numbers of young students. "While originally hired to provide marketing materials for DiscoverE’s engineering education efforts, we are expanding our work together. We find them consistently responsive, creative and organized on our projects. We are confident they are THE choice for marketing and communications". Front of a shopping insert that features some of the products we created. Back of a shopping insert that features some of the products we created.